Hand over control of your heating system with the iDevices Thermostat. This smart thermostat allows you to set schedules so that your heating and cooling system runs itself. This means a lower utilities bill and less time standing at the thermostat to adjust the temperature before you leave the house or go to bed. The iDevices Thermostat offers all the essential functions of a smart thermostat at an unbeatable price. You can use the app to control the temperature from your smartphone or turn up the heat with voice commands using Siri, Google Assistant, or Amazon Alexa. While we're still waiting for features like geofencing, the existing range of functions in the app will make your heating system significantly smarter. Schedules and scenes: Set up schedules to turn down the heat when you go to work and turn it back up again when you come home. You can even create multiple schedules - one for weekdays and one for the weekend. No hub necessary: This wifi thermostat does not require any hub or base station to get started. Just install it, connect it with the app, and you're ready to bask in the automated heat! Control on the go: Left in a hurry for vacation and not sure if you remembered to turn down the heat? With the iDevices Thermostat, that's no problem. You can check your current settings in the app and adjust them on the go. Voice control: This smart thermostat is compatible with Amazon Alexa, Apple HomeKit, and Google Assistant. So you can control the temperature with just your voice, no matter which of these popular assistants you use. Temperature ranges: Set temperature ranges in the app to save even more on energy costs. A wider temperature range will help to use less energy, and a more narrow temperature range will ensure that your house is always heated just the way you like it. Spending too much time fumbling around with the thermostat before going to bed or leaving the house? With the iDevices Thermostat, you can set up schedules and scenes so that the temperature takes care of itself. That way, the heating will automatically be turned down when you leave for work in the morning and be turned back up again shortly before you come home in the evening. Go smart, and save time, money, and energy. 1. Turn off your HVAC system. 2. Disconnect your old thermostat. Consider taking a photo of the old wiring set up. 3. Mount the iDevices thermostat and connect the wires. 4. Turn your HVAC system back on. 5. 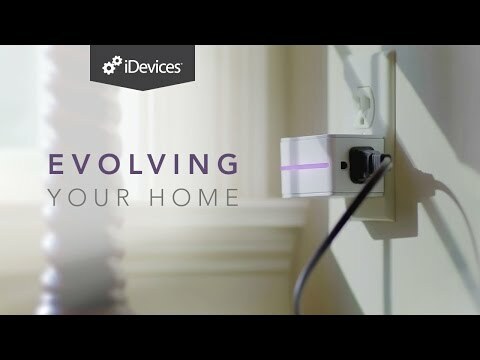 Connect the thermostat to your network and to the iDecives Connected app. If you don't have experience working with electrical wiring, consider having a professional install the thermostat for you. If you're used to dealing with wires, installation can be completed in just a few easy steps. Product made well using high quality materials. Cleanly designed app that can be used to set scenes and schedules. Schedules, scenes, temperature ranges, control on the go, voice assistant compatibility. Schedules run smoothly, and voice commands are also reliably carried out. Keeps the temperature at the desired level. Sleek, white facade that will look good on any wall. Communicates using wifi. Protected using WPA or WPA2 network security. On the lower end of the price spectrum for smart thermostats. Great price for a basic smart thermostat. Can I control the iDevices Thermostat with voice commands? Yes, you can use Siri, Google Assistant, or Amazon Alexa to control the iDevices Thermostat with just your voice. Can I change the temperature manually on the iDevices Thermostat? Yes, there are buttons on the front of the thermostat, so you can change the temperature even if you don't have your smartphone in your hand. Does the thermostat control air conditioning as well as heating? Yes, the smart thermostat works with your entire HVAC system. So if you set the temperature low on a summer day, it will activate the AC. And if you set it to a cozy temperature on a winter night, the heating will turn on.